When you’re a parent, you never stop worrying. When I visit my parents and go out to dinner or drinks with my wife, they still wait up for me to make sure I got home safe. I’m 42. It never goes away. Sometimes, it even extends to other people’s kids. Sometimes it even extends to fictional kids! Once you have children of your own, it’s hard to watch movies with kids in peril. It’s always a relief when they escape harm. 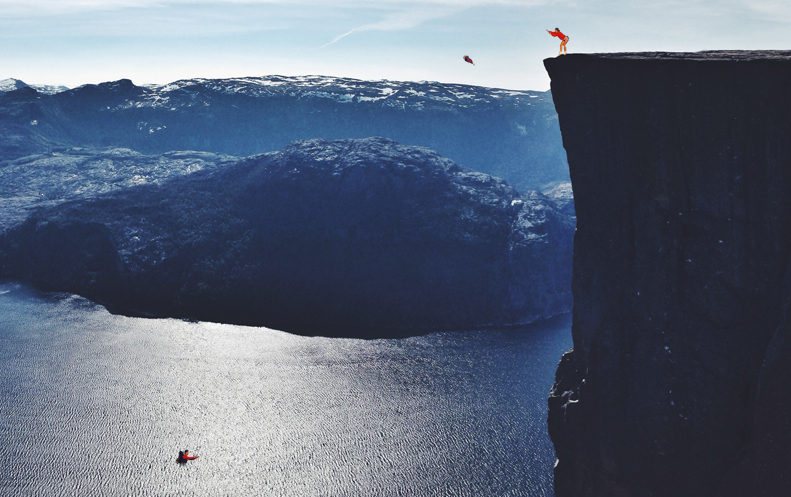 You’ve probably seen this photo from the 1995 Patagonia Spring catalog. It was taken at Joshua Tree National Park in California nearly 25 years ago. For many years the authenticity of the photo has been a subject of debate across the ‘net. 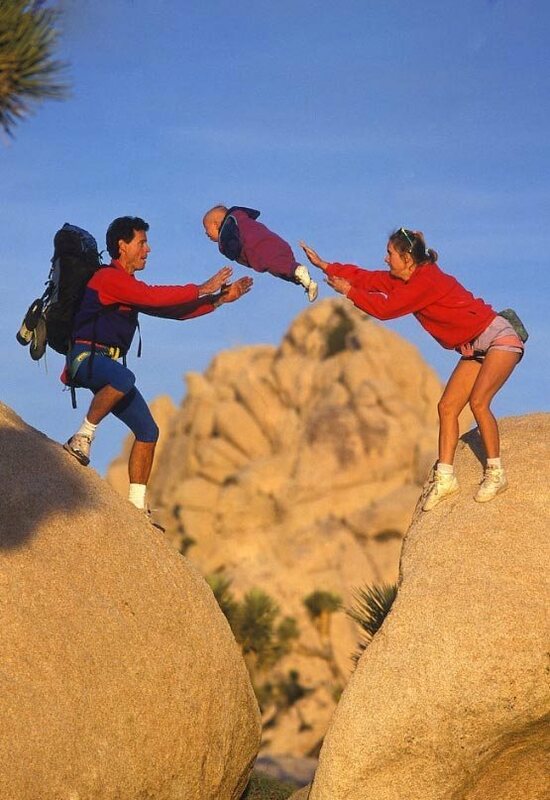 Some have claimed it was originally another object being tossed between the two climbers and that the photo was either altered then or more recently to look like a baby. With no official word, the baby has since been suspended in the air between her parents’ outstretched arms. It’s an agonizing photo, leaving the viewer to wonder if the baby is okay. It doesn’t help that the photo has since been the subject of many “Born Free Baby” Photoshop battles. The good news is that the baby landed safely! She’s just come out of the woodwork to authenticate the photo and reassure everyone she’s alive and well. In the photo, Jordan is a mere 6 months old, and she is in mid-air, between her parents, on a mountain. Her mom had just tossed her precious baby over a gap between boulders for Dad to catch. In a new blog post on the Patagonia website, Jordan speaks out. She’s now a 25-year-old aspiring court reporter in Huntington Beach, California that has inherited her parents’ passion for rock-climbing. She doesn’t remember the perilous moment she spent in the air, but she does have a framed version of it in her home. She still loves to climb with her dad, telling Patagonia that the pair had recently returned from a trip to Big Bear. Maybe this time without giving the rest of us a heart attack.